Wins for Huelva, Albacete and Sevilla over Sociedad, Santa Teresa and Madrid saw the first trio claim safety with Santa Teresa officially relegated, a win for Zaragoza over Athletic brining about a glimmer of hope for the hosts. Elsewhere, it was derby weekend with Valencia, Barcelona and Atleti all picking up wins “away” to Levante, Espanyol and Rayo, a slender win for Tenerife away to Betis rounding out the fixtures. Swimming against the tide, Zaragoza picked up their fifth win of the year, an unlikely three points at home to Athletic. The hosts digging in well to keep the Basques out throughout the first half, Darlene’s low shot from the top of the box – picking up an uncleared ball – enough to break the deadlock. Six minutes later, Zenatha Coleman found her seventh goal in 12 matches, pulling the trigger from over 30-yards to scoop the ball into the top corner. With little change from the match, Athletic plugged away, granted a deserved consolation at the death. Vanesa Gimbert’s exceptional volley from range enough to beat Oihana as it clipped off of the apex of the post and bar, dropping in. Having lost the last Valencian derby in December, Las Che claimed the honours at the Estadio Ciudad de Valencia in front of 14,000 fans. Despite the affiliations of the crowd, the wind was very much blowing in Valencia’s favour, the visitors peppering Noelia Ramos’ goal, hoping that something would stick. Their persistence paid off and ten minutes before the break, Lombi found herself unmarked near the back post, given time to head Mari Paz’ dinked cross inside of Ramos’ near post. 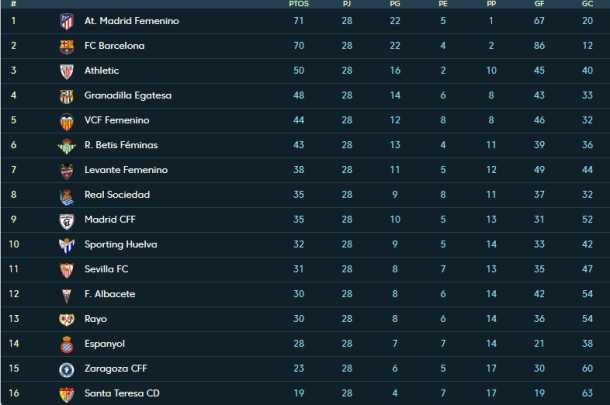 The win enough to keep Valencia on track for top three, Levante left hoping they finish on the right side of the middle of the table, their last two fixtures as gruelling as they could be. 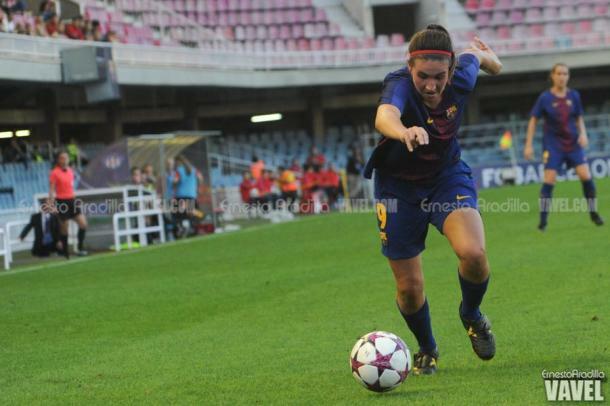 Catching Mapi Leon dawdling on the ball, 17-year-old Elena Julve raced in to nibble the ball away before firing home in the fourth minute to give the hosts an unexpected lead in Catalunya. Needing just two minutes to restore parity, Barca hit back through Marta Torrejón, the defender nodding home from two yards at a flicked on Élise Bussaglia. After a one-two with Mariona, Lieke Martens let fly from just outside the box, the ball parried away by Mimi but only as far as Mariona, the attacker dashing forward to put the ball away and give Barca the lead. Consistently asking questions of the home goalkeeper, the Blaugranes struggled to find the ball to completely put the tie to bed, Bárbara’s low finish deep int stoppage time the gloss on a strong performance. Looking for a win to confirm safety, struggling Sevilla came up trumps at home to Madrid to leave the visitors without a win in six. A ball over the top saw Madrid take the lead when Jade raced onto it and fired home in the ninth minute, the slender lead holding until well after the break. With her first goal of the season, Helena Torres let fly from just outside the area, her low effort skipping off of the turf and bouncing into the bottom left corner, beyond the reach of Paola Ulloa. With the two locked, substitute Amparito gave the hosts the lead late in the day as she, like Torres, opened her account for the season, a deft finish from 17-yards enough to see the ball crest into the net. 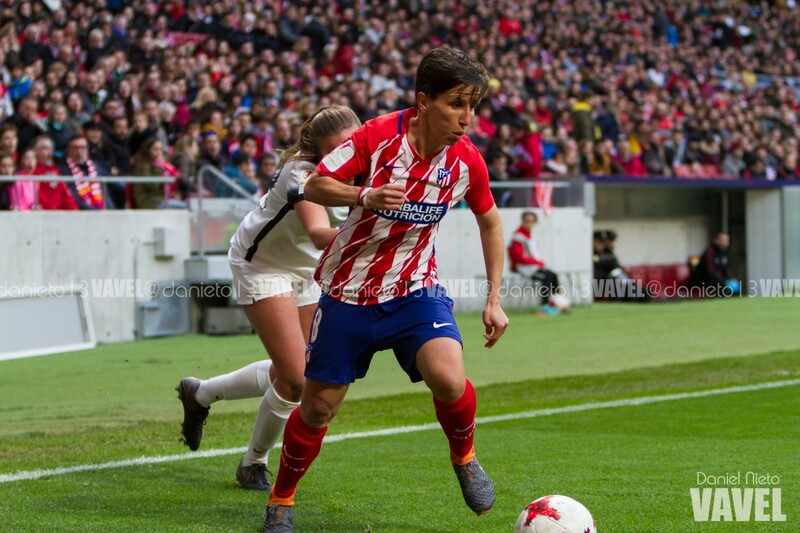 With little time left for a comeback, Olga Carmona ensured the Sevillistas finished the match on top, picking the ball back up after Ulloa had denied her initial effort, the teenager put the ball home with a composed finish. Dealt their third loss in their last four, that has been Betis face three of the top four, María Pry and her Béticos will be glad that their last two games are slatted to be less taxing and that they may be able to finish the season on a high. With chances at both ends the breakthrough came ten minutes into the second half when captain, Cindy nodded Sara Tui's pacey free-kick over Erina Yamane and home. With their last two matches against teams at the wrong end of the table, Tenerife will be hopeful of ending the season on a five-match unbeaten run. Not quite mathematically safe coming into the match, Sporting needed just a point to put themselves clear of danger, Anita’s lone goal enough to see them cement their place in the league for next season. Knocking on the door throughout the first half hour, the hosts were consistently denied by Sarita Serrat before Joy Bokiri’s ball into the mixer pulled the defence forward, leaving space for Anita to lash the ball home. A match for the fans that saw a plethora of chances for both, with the woodwork left shaking at both ends, neither could quite find the right touch to convert a second, the goal more than enough for Sporting. Needing a win to confirm safety, El Funda made no mistakes as they thoroughly downed Santa Teresa in Castilla-La Mancha. Claiming an early lead through Mati, the hosts went from strength to strength in the tie, Alba Redondo’s controlled flick into the top corner enough to double the lead just before the break. Brought on just after the hour, Kuki grabbed her eleventh and twelfth goals of the season late in the day, first turning Tomo Matsukawa’s corner home before spinning in the box to deliver the ball into the bottom left corner in stoppage time. Like their Catalan counterparts, Atleti were on the backfoot early on in their derby, a Marta Corredera own goal enough to have Rayo up in the second minute, and just like their title-rivals, Atleti soon hit back. With her sixteenth goal of the season, Soni restored parity six minutes later, her low shot slipping beyond Ali’s outstretched glove. A second followed for the veteran attacker when she headed Kenti Robles’ cross into the top corner midway through the half. With the half having started with an own goal, so too it ended with one, Paula Andújar’s unfortunate flick enough to divert Soni’s ball past Ali. Scrappy defending saw Rayo concede their fourth for the second match on the bounce, bodies filling the area as Ludmila had time to bring Soni’s low cross under control and fire it into the roof of the net.